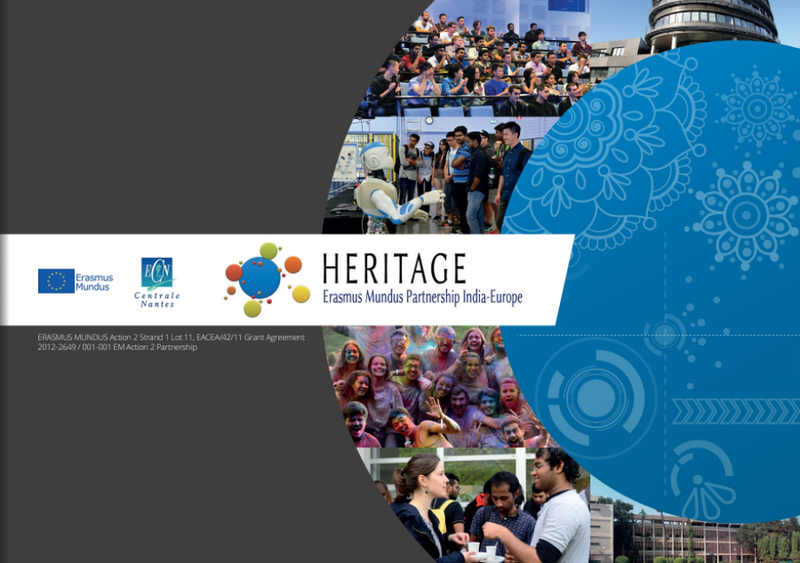 The HERITAGE project came to an end in July 2017. A booklet has been published to present the nature and achievement of this both scientific and human experience that changed lives, to be remembered. European partners : Ecole Centrale Nantes, France (coordinator); Technische Universitat Munchen, Germany; Tallinna Tehnikaülikool Estonia; Escuela Técnica Superior de Ingenieros - Universidad de Sevilla, Spain; Politecnico di Milano, Italy, Politecnico di Torino, Italy; Politechnika Warszawska, Poland; Instituto Superior Tecnico, Lisboa, Portugal; České vysoké učení technické, Prague, Czech Republic; Cardiff Met University, Great Britain. Indian partners : Indian Institute of Technology Madras, Chennai (joint co-ordinator); Anna University, Chennai; Indian Institute of Science, Bangalore; Indian Institute of Technology Bombay, Mumbai; Indian Institute of Technology Kanpur; Indian Institute of Technology Guwahati; National Institute of Technology Warangal; National Institute of Technology Rourkela,. 6 associate institutions: T.I.M.E. Top Industrial Managers for Europe Association, Campus France, DCNS, University of Dehli, VIT Vellore, IIT Rajasthan.